It has been said that I am probably the closest thing to a cheerleader that the City of Stamford has so it’s appropriate that I chose to work as a Realtor, selling the community and singing its many praises, which I have done since 2005. You can often hear me saying, “I absolutely love this town. It’s a city with a small town feel. I only sell Stamford and know the streets, schools, neighborhoods, government and people. I wouldn’t want to live anywhere else." With my Bachelor’s degree in Science my previous career paths include pediatric nursing and corporate work as a trainer and public speaker. Taking the skills gained in those professions and applying them to my work in real estate has been very satisfiying. It is important to me to spend a lot of time educating clients. I take great pride in making sure that my clients understand the real estate process. I came to the real estate profession after meeting June Rosenthal while we served on the Board of Directors of the Stamford Museum and Nature Center, which I did for more than 10 years. Rosenthal, who is considered by many to be the “Grand Dame” of Stamford real estate, convinced me to become a realtor. She was a fantastic mentor and I learned a great deal from her. Customer service is what this business is all about. I feel I am a concierge agent who services the needs of my clients. I offer a “one-stop shopping opportunity for homebuyers and sellers” with services that include the professional coordination of the home search, property marketing, negotiation of purchase or sale, and details of closing. My greatest skill is I really listen. I get to know my clients and envision them in the houses and neighborhoods of their dreams. I love placing people here and having them experience Stamford the way I do. I enjoy reading, visiting Naples, Florida “as often as I can,” being active in a golden retriever rescue organization with my husband, volunteering for the Stamford Citizen of the Year Committee, celebrating the professional accomplishments of my daughter – an energy,environmental and land attorney in Rochester, New York, and spending time with my large, tight-knit Greek family that is not unlike the family portrayed in the film “My Big, Fat Greek Wedding! I enjoy working at William Pitt Sotheby's International Realty, were we leverage our innovative marketing tools, exclusive global network and local market expertise to offer an unmatched experience for those seeking to buy and sell fine real estate. Since founding our first brokerage office in 1949, we have grown to become one of the largest firms in the country and remain Stamford's market leader and Connecticut's premier residential real estate firm. Compare us to our competitors and you will find that no one can match the marketing strength, uncompromising value, personal commitment and sheer effectiveness of William Pitt Sotheby's International Realty. I welcome the opportunity to work with you. 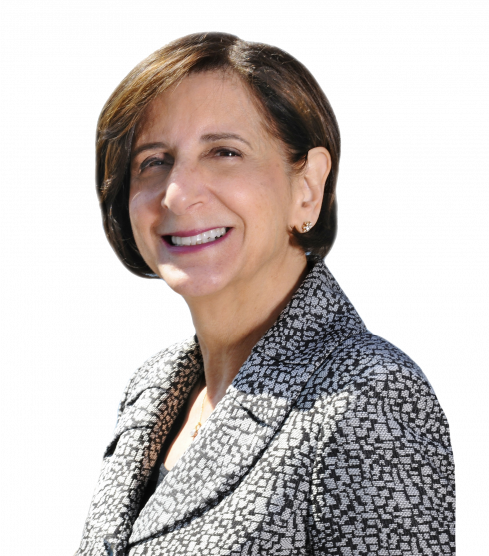 Linda Sentementes is an accomplished, high-integrity professional. It was such a pleasure working with her for the sale of our home! Linda has extensive real-estate experience, deep knowledge of the market, vast proven resources, and an extraordinary ability to discern her clients’ needs. We were immediately impressed with her approach to positioning and pricing our home. She was hands-on throughout the process, lending her personal touch every step of the way. We appreciated her valuable guidance, effective ongoing communications, and consistent availability. We’re thrilled with the results and wholeheartedly recommend her! My husband and I were downsizing and looking for a home in a town we didn’t know well. We weren’t on the same page as to what that meant—how small, move-in ready, or if work needed to be done, how much. As we looked at houses, Linda gained our trust with her professionalism, real estate knowledge, and personal warmth. She was very prepared in each of our interactions, and was an expert sounding board and reality-checker. She followed up right away when I emailed or called. When we found the house we wanted (it needed a lot of cosmetic work), she knew the market and advised us we should move quickly if wanted to make an offer. She was right! A day after our offer was accepted, someone came in with a full price offer. Linda explained to us what could happen but the sellers stuck with us. She was great during the closing process, helping us with details and referrals. She is the real deal; the best realtor we’ve had in our many home purchases. We listed our Stamford property with Linda Sentementes of William Pitt/Sotheby International. We had natural concerns given that we live in New York and would need to rely on Linda to do much of the facilitating and organizing of information for us. Our time with Linda turned out to be among the best professional experiences we have ever had. She was in constant communication with us which gave us great comfort. She went over and above in terms of helping us to stage the property and went so far as to visit the property on numerous occasions to handle small projects for us that would have instead cost us a trip from New York. Her follow up was both ongoing and efficient AND she got us the best price in the marketplace. Linda is a pro and a sweetheart to work with you. Can't recommend her more highly. Linda is a highly experienced and fully engaged real estate professional. She took the time to truly understand what we were looking for in terms of type of property, location and surrounding amenities and worked tirelessly to find us the perfect house. And then, once we found the house we wanted, she took charge in closing the deal. She even helped us find a bank and lawyer that could meet our extremely fast closing requirements! Linda is the complete package and we would highly recommend her to anyone looking for the consummate real estate professional.